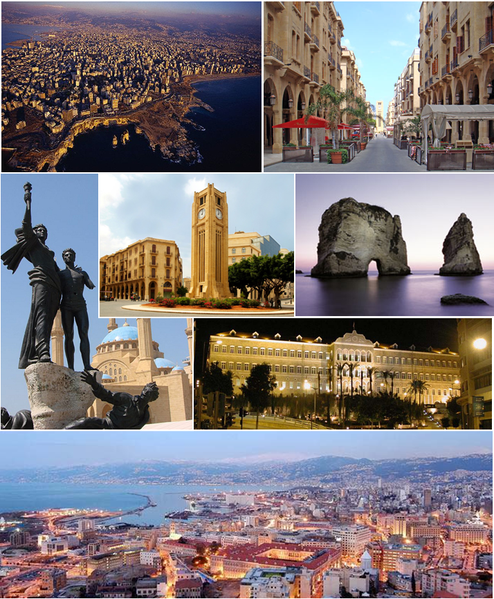 Beirut is rapidly regaining the reputation it proudly held in the 1950’s and 60’s as a world class, Mediterranean tourist destination. Back in the day, its hotels, beaches and restaurants were full of visitors, popular with the top international acts of the day who all came to sample this unique and hospitable city. Souk el Barghout, Martyrs Place, is the famous, busy and noisy Lebanese market square where you can haggle over just about anything, sit and enjoy a coffee or eat a delicious meal. The marketplace sees people from all over the world mixing and mingling in a chaotic shopping experience that provides the perfect location to sample the real Lebanon. 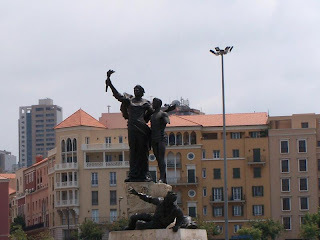 Beirut is a city of differing cultures and religions with churches and mosques existing side by side surrounded by a maze of narrow bustling streets and alleyways all busting with activity. Visitors will never be at a loss to find something of interest or take their fancy as they wander the old town centre. Two of the most interesting stops on a trip to Beirut are the National Museum and the AUB museum, these are custodians to some of the most precious and rare archaeological finds anywhere in the world. These two magnificent institutions are a must visit trip for anyone touring the city and guaranteed to provide a fascinating insight into Lebanon’s history. A leisurely walk along Beirut’s famous palm lined, Corniche and on into Lebanon’s Central Park, is a popular activity by locals and tourists alike, who all mingle together enjoying the simple pleasures of life. This famous stretch of coastline is swimming with people, enjoying a walk, jogging and cycling. It provides the ideal place to sit and take in the beauty of a Lebanese sunset and watch the world go by or grab a snack from the many street vendors or local snack bars. Beirut offers visitors a wide selection of cuisine from classic local Arab dishes to Italian, Indian and other exotic Mediterranean delicacies. There is plenty of choice from small tasty local bars to elegant classy restaurants offering fine dining. The streets and squares of Beirut once again buzz of a night with lots of action, the streets are awash with entertainment and you will find everything from raucous karaoke to mellow jazz on offer. There are theatre performances and trendy nightclubs so whether you like getting down till dawn or something highbrow of an evening, Beirut can accommodate all tastes.